To us shoes seem like a bare essential. It’s tough to imagine a world without shoes. In Uganda there are places where where children walk, run, and play in bare feet, but rather than the liberating summer exercise we think of (bare feet in cool grass), these children subject themselves to Jiggers, a dangerous and crippling parasite. Now imagine Sole Hope, an organization that helps these infected Ugandan children who want to run and play free of harm and their adult parents, relatives, and neighbors. Through Sole Hope, Ugandan men and women earn a fair wage by making shoes that go on the feet of the children who need treatment from Jiggers. And now, It’s more than just a SOLE HOPE; it’s The Lexington School’s 4th graders, a continent away, who are learning to serve others. So they had a party, a cutting party. 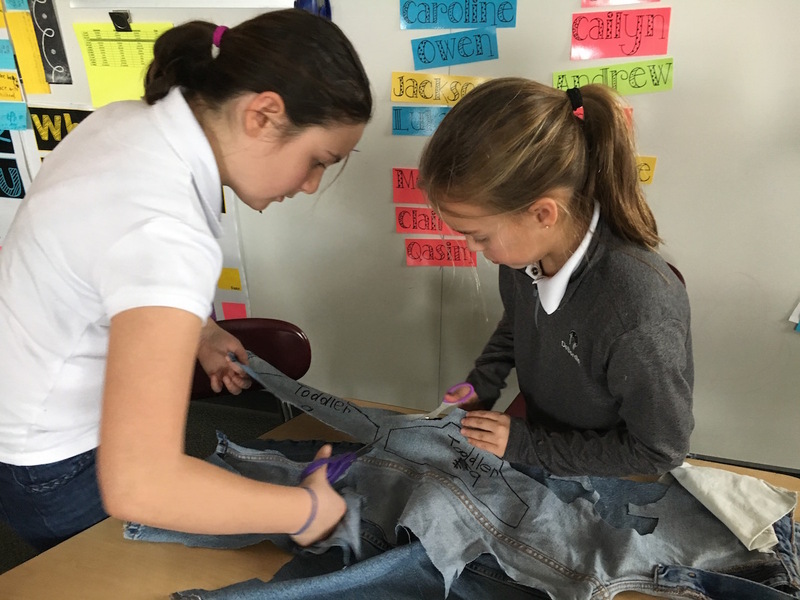 Students brought in recycled denim, and using templates they cut a variety of sizes and shapes of cloth. Parent volunteers showed up to help, and together they organized hundreds of swaths of fabric to send to Uganda where adults will be paid to make shoes for the children who want to run and play without the danger of contracting Jiggers. The Lexington School’s 4th graders “can make a direct impact on the life of someone seemingly a world away by being a source of hope. Hope of relief from foot-related disease. Hope of an active life” (SoleHope.org). Watch the video to see service in action and to learn more.